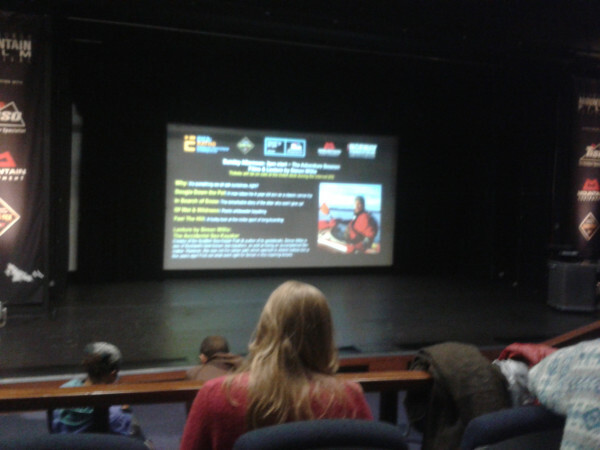 We went to the afternoon session of the Edinburgh Mountain Film Festival, in the George Square Lecture Theatre, and saw several short films, plus a talk given by Simon Willis ‘The Accidental Sea Kayaker’. All very interesting and entertaining. One of the films, In Search of Snow: Helen Rennie’s Story, made me want to get into the Cairgorms. Here’s a picture taken from our seat. And here’s a link to Simon Willis’ photo of the audience, which he took at the start of his talk. I stood enthralled for two hours last night, listening to musical genius Michael Nesmith and his band play at Òran Mór, in Glasgow. What a privilege! Backed up by Charlie Judge and Joe Chemay (he’s played in the past with Elton John, The Beach Boys and Pink Floyd), Nesmith played a selection of tracks from various albums, including Papa Gene’s Blues, I’ve Just Begun to Care, Joanne, Silver Moon, Different Drum, Grand Ennui, Some of Shelley’s Blues, Rio, Life the Unsuspecting Captive and two others from the masterpiece The Prison, etc. A tape of an instrumental break by the late, great O.J. ‘Red’ Rhodes was featured as part on the encore. Someone else posted the above to YouTube, from the performance. Several of the tracks were given slightly new interpretations. Thus ends a summer/autumn of great gigs, including Neil Innes, The Average White Band, Grandaddy, and The Beach Boys. This track is from a past performance. Information and material from Nesmith is available from the Videoranch website. 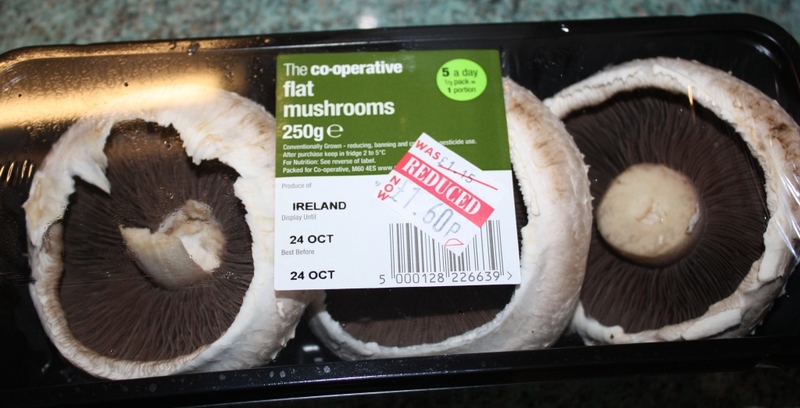 There was an offer on mushrooms today, in the Co-op. 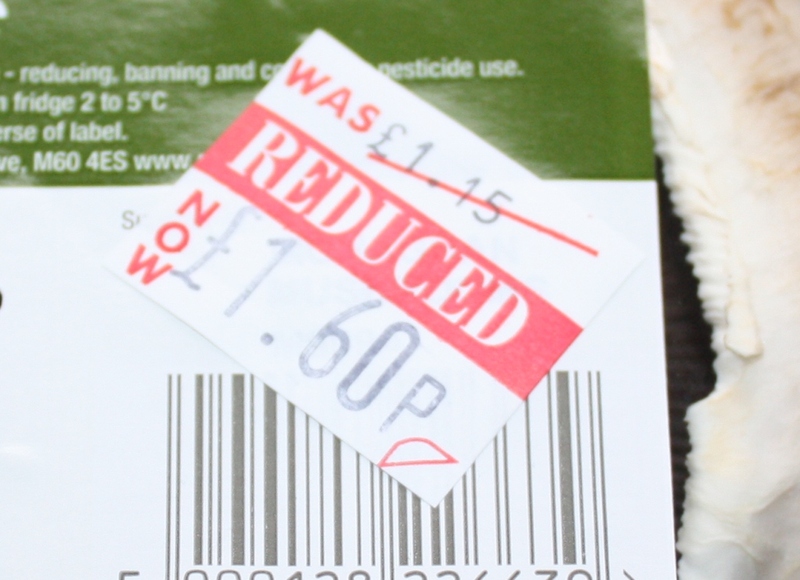 Not such a great deal! American Journal of Psychiatry TOC feed has over 1,500 subscribers via Reader. Last updated: 8:58 PM (8 minutes ago) A parsing error was encountered. That’s a lot of people (1,877 to be precise), who will be inconvenienced, and is rubbish! Those who use JournalTOCs to follow journals such as this one (or the other four titles published by American Psychiatric Publishing) will not be inconvenienced, however, as I’ve just updated the feeds in the JournalTOCs database, and Followers via JournalTOCs will not have to do anything to continue to scan the latest contents. Over the years I’ve had dealings with various journal publishers, and I must say that I’ve normally found them very helpful and professional. There have been one or two exceptions, and of course their staff come and go, so things sometimes change. Here are some examples of the Good, the Bad and the Ugly, with respect to journal publisher websites and their customer relations. Some time ago, I wrote a series of five posts entitled ‘Rubbish stuff from publishers”. The first one was about links which went nowhere on the Springer website. None of that appears to have been fixed since I posted, in February. Someone should tidy up the old Springer pages. I wanted to write some more about problems with the various Springer websites, especially SpringerLink, but the site is terribly sloooooow! Ah – after two minutes, the examples I was looking for have loaded: Advances in Difference Equations, and Advances in Difference Equations. The same journal, but two different interfaces. Now, I know that the reason is because this title is a SpringerOpen title, and SpringerOpen has a different website to SpringerLink. But the whole thing can be confusing, and the two sites are completely different in design. The synthesis of 2-hydroxyisobutyric acid (2-HIB), a promising building block for, e.g., Plexiglas® production, is described as an example for a clean and sustainable bioproduction. A derivative strain of Cupriavidus necator H16, impaired in the poly-ß-hydroxybutyrate synthesis pathway and equipped with xenogenic 2-hydroxyisobutyryl-coenzyme A mutase from Aquincola tertiaricarbonis L108, was applied. Batch cultivation was performed in the presence of vitamin B12 by supplying a gas mixture comprising hydrogen, oxygen, and carbon dioxide. Exploiting the chemo-litho-autotrophic potential of this so-called knallgas bacterium, 2-HIB was synthesized and excreted into the cultivation broth under aerobic conditions when inorganic nitrogen-limited conditions allowed an overflow metabolism of carbon metabolites. 2-HIB synthesis proceeded at a rate of 8.58 mg/[(g bacterial dry mass)·h]. Approximately 400 mg/L in total was obtained. The results were subsequently compared to calculated model data to evaluate the efficiency of the conversion of the substrates into the product. To achieve overall yield data regarding the substrate conversion, the model describes an integral process which includes both 2-HIB synthesis and biomass formation. but does not yet approach the maximum value as derived from the model data. Furthermore, the biosynthesis potential of an optimized process is discussed in view of its technical application. Very helpful – having all that information helps someone decide whether the article is relevant or not. Contrast that with Taylor & Francis who currently produce poor RSS TOC feeds with hardly any information in them, and no abstracts. Here’s an example from Applied Economics. No wonder that they have so few people who subscribe to their feeds on Google Reader, or anywhere else. Table of Contents for Applied Economics. List of articles from both the latest and ahead of print issues. Applied Economics, Volume 45, Issue 25, Page 3531-3551, September 2013. Because of the way they are compiled, in my Google Reader, T&F TOC feeds all appear under the heading “Taylor & Francis…”. I don’t want that. I want to see the journal title, and also abstract, etc. Why are T&F not being helpful to their potential readers? Isn’t that supposed to be a function of a publisher? Such things may also dissuade potential authors from wanting to publish in T&F titles. Authors of research papers with funding available for publishing in Open Access journals or journals with OA options are becoming the new consumers with considerable purchasing power in the publishing chain. They want to know not only the impact factor of a journal, but also how well the journal and its contents will be marketed, and how easily their paper will be found, at a publisher’s website, in library discovery services, and via aggregators. Given that some journal TOC RSS feeds have many thousands of subscribers, and that these feeds are also used in many different ways, providing a good quality TOC feed is likely to become increasingly important. I was looking at the De Gruyter website recently, for a journal’s Table of Contents feed. Each journal has a Get eTOC Alert link, but they seem to take you to a subject alert feed option rather than a TOC feed. De Gruyter redesigned their website not very long ago – it seems they haven’t got it right yet. Here’s a journal publisher website that I like, Inderscience. Well, I would say that, wouldn’t I, because I had a small amount of input into its design 🙂 Look at a typical Inderscience journal home page – for the International Journal of Social Network Mining. It is very clear, there are no broken links, and it contains all the relevant information about the journal that I need. Here’s another example of the Good, with respect to journal publishers. I spend quite a bit of time looking for journals with RSS TOC feeds in order to add them to JournalTOCs, the free service where researchers (and others) keep up-to-date with the scholarly literature. This can be a long and sometimes frustrating process, especially when I find a publisher with what look like good journals, but there are no TOC RSS feeds (JournalTOCs ingests and aggregates TOC RSS feeds from multi-publishers and presents them within one neat and easy-to-use interface). Now, sometimes publishers are on the ball, and actually contact me, or JournalTOCs. This is what happened recently with Schweizerbart Science Publishers. journals, what would be the best and easiest way to do it ? They publish a number of journals, and we’re now in the process of seeing the best way to add their TOCs to JournalTOCs. More Bad. Some journals are not even sure what, exactly, is their title. For example, the South Carolina Journal of International Law & Business uses the ampersand on its home page, but the title in the RSS TOC feed is South Carolina Journal of International Law and Business. Such things may seem small, but they can make a difference when using some search engines. The reply from Graham Smith came within 7 minutes! Bentham Science publish a number of quality subscription journals. You can see their latest TOCs at JournalTOCs. They also publish 230 Open Access titles. As I couldn’t see any sign of RSS TOC feeds for these OA titles anywhere on their site, I contacted them. They haven’t got back to me 😦 As RSS is a major way for publishers to promote their content, one has to ask oneself whether they are going to pocket submission fees for OA articles, and then not promote their OA titles as much as their subscription titles. The ‘Ever-On-The-Ball’ Aaron Tay alerted me to the following ruse by, in this case not a journal publisher but rather an aggregating vendor. We have a problem… another vendor appearing to need education about exactly WHO owns library data. And so, what about the other four posts in the ‘Rubbish stuff from publishers” series that I mentioned near the beginning of this post? Rubbish stuff from publishers 2 – Elsevier have fixed that one. Rubbish stuff from publishers 3 – Cultural Diversity and Ethnic Minority Psychology is no longer found via Gooogle at Elsevier’s website. There are still 10 subscribers to the RSS feed on Google Reader. The links to articles seem to now go to the journal: Computers & Graphics. Rubbish stuff from publishers 4 – there are now 35 Google Reader subscribers to the Atypon feed which is no longer available. Previously, when I wrote the post, there were only 32! What’s going on there? Rubbish stuff from publishers 5 – Maney Publishing have removed Austrian Studies details from their page, but that page still exists. If you click on the Advertising link, you get a test page. So – that is some of the Good, and some of the Bad. What about the Ugly? Well – did you know that my surname – MacLeod – actually translates from the Norse/Gaelic as: Son on Ugly? I was very pleased to see that this blog is included in The Guardian Higher Education Network list of Professional Development Blogs, even though they misspelt ‘Heriot’. infoDOCKET is now part of Library Journal. Other places for information news inlude ECOntent Magazine ( @econtentmag ), Research Information ( @researchinfo ) and InformationToday Europe ( @InfoTodayEu ). I’ve added the following titles to JournalTOCs, the free current awareness service for researchers, students and lecturers. JournalTOCs now contains details of the latest Tables of Contents of over 20,200 scholarly journals, including over 4,600 Open Access journals, and is the largest collection of scholarly journal Tables of Contents.